Word has come to us that the deadline for entering to win the William and Edwyna Gilbert Award is July 15, 2012. You must be a member of the American Historical Association (AHA) to enter. The William and Edwyna Gilbert Award for the Best Article on Teaching History recognizes annually outstanding contributions to the teaching of history through the publication of journal articles. The prize was endowed by a generous gift from Mrs. William Gilbert in memory of her husband, a distinguished member of the history department at the University of Kansas, and further donated to following Mrs. Gilbert's death in May of 2011. Articles by AHA members, published between June 1, 2011 and May 31, 2012, may be nominated for consideration. Both the author of the winning article and the journal that publishes it will each receive $1,000. Journals and individual members may submit nominations on the teaching of history (including scholarship of teaching and learning, methodology and theory of pedagogy). Journals, magazines, and other serials can submit up to two articles for each award cycle. Each nominator is required to provide a brief letter of support (no more than two pages) with the article. See past winners of this award. One copy of each letter of support and article must be sent for each member of the Committee on Teaching Prizes. Entries must be postmarked by July 15, 2012. Entries will not be returned. No faxes will be accepted. Today's mail brought news of a call for submissions. The Middle Ground Journal is an open-access, refereed publication. It is published by the Midwest World History Association (MWWHA), hosted by the College of St. Scholastica. The MWWHA is affiliated with the World History Association. Everyone, no matter where you teach, research and study, is warmly invited to contribute. The middle ground is the common space shared between teachers and students, between research and teaching, among all levels and types of places of learning, and among different areas of specialization and methodological approaches. We seek to nurture the common ground shared by all who are committed to the studying and teaching of global studies and world history, broadly understood. In particular, we seek to serve as the shared, common space between K-12 institutions and colleges and universities. We invite submissions of articles and essays, as well as translations, fiction, and reviews of nonfiction, fiction, film, television, and other artifacts. We also publish reviews of textbooks and reflective presentations of teaching materials. We encourage you to submit a review of a book or other artifact already in your possession. Please contact the chief editor if you plan to do so. We call upon all contributors, whether of an essay, article, or review, to consciously address a broader audience beyond that of a traditional academic journal, and to shape the work so that it may be used in a classroom on as many levels as possible. We would like to particularly encourage contributions on teaching from teachers, independent scholars and students. Submissions for The Middle Ground Journal are accepted on a continual basis. Please see the journal’s website for the submission guidelines. Department of History, Duluth, MN 55811, USA. Publishers: Forward all books for review to the address above, with the books clearly marked for the journal. The Middle Ground Journal (ISSN: 2155-1103) is published by Midwes t World History Association (MWWHA), and housed at The College of St. Scholastica. The MWWHA is a proud affiliate of the World History Association (WHA). We strongly encourage membership in both associations. We gratefully acknowledge the generous sponsorship and logistical support from The College of St. Scholastica, Duluth, Minnesota, USA. Congratulations on beginning your National History Day journey! 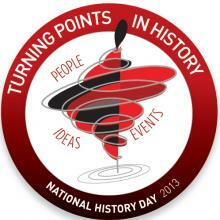 This year’s theme is Turning Points in History: People, Ideas, Events. For those of you who have traveled this road before, you know that creating a great NHD project takes you out of the classroom and into exciting libraries, museums and archives in search of primary sources related to your topic. And since you get to choose the topic, you know that you will be interested in learning about it! You will discover history firsthand - seeing the very documents or historic sites that you read about in your textbook and, based on your research, come to your own conclusions about historical events. For those of you who are brand new to the National History Day experience, welcome! You may be wondering where to begin this challenge and to that question we answer, right here! Reading through this theme sheet will give you guidance on the 2013 theme, Turning Points in History, helping you to successfully choose an interesting historical topic to research for your project. Perhaps the first question you are asking yourself is, what exactly is a turning point in history? The dictionary defines “turning point” as a point at which a decisive change takes place. So a turning point in history is more than just an important event that happened a long time ago. It is an idea, event or action that directly, and sometimes indirectly, caused change. This change could be social or cultural, affecting a society’s way of thinking or way of acting. It could be political, leading to new legislation or to a new government taking charge. It could be economic, affecting how goods are produced, bought and sold, or how much or how little a society has to spend on such items. A turning point can even cause all of these changes and more. Okay, you say, but how do I know what changes my topic has caused? Ah, good question. This is where you begin to dig for information about the time period in which it occurred, where it happened, the people involved and what else was going on in that area at that time. In other words, you are studying the context of your topic. This is one of the most important aspects of historical research. Events do not just happen all by themselves — there are always factors involving time, place and people that influence the causes and effects. Don’t just think about how you understand the topic but also how people at the time thought about what was happening. It is important to examine the historical context of your topic so that you see your topic more clearly, understanding the “big picture.” Turning Points in History: People, Ideas, Events always have at least two sides, or opposing perspectives. Part of being a thorough researcher is looking at a topic from all angles to see the whole story. Discovering the historical background of your topic will allow you to do this. Now that you have a better idea of the historical context of your topic, you can narrow in on the turning point more precisely. What act, idea or event caused a change in how people thought or what they did? How about the effects: new ideas, new laws, new technologies, new cultural standards? And how did these develop over time? What was the end result? Your answers to these questions will provide the historical evidence you need to form a conclusion about the event’s significance in history and the impact that it had. Speaking of significance in history, don’t forget the very important “in history” part of the theme. To fit the theme, your topic must truly be historical and not just a current event or recent idea. Remember that you can choose to focus on a turning point in local, state, national or world history. When many people think of significant turning points that changed the course of history, one of the first things that often comes to mind are wars. World War II significantly changed the hierarchy of nations as new global powers emerged and also altered large portions of the map as some nations were divided or added together with new borders and new identities. But to successfully choose a topic related to World War II, for example, you should focus on specific aspects of the war. An exhibit could discuss a turning point within the war, such as Guadalcanal in the Pacific or the invasion of Normandy on the European front. A web site could examine the war itself as a turning point in a particular geographical area, or even in a specific aspect of life for a group of people. To sustain economic needs with so many men at war, women in the United States increasingly held jobs in previously male-dominated fields such as manufacturing. How did this become a turning point for women’s equality, and how did it affect their lives after the war? Did this happen for women in other countries too? Or what about human advancements? How was the discovery of penicillin a major turning point in medical care? A performance could show how agricultural innovations, such as irrigation and the use of fertilizer, changed how crops are grown, creating a much more efficient method that can produce food for millions of people. You could also look at Henry Ford and how his advancements in the manufacturing of automobiles changed the way goods were mass produced. How has society and the world economy changed as a result? A web site could explore how the Interstate Highway Act led to the staggering growth of the American suburbs and how that was a turning point in American society. Gutenberg’s printing press was a crucial turning point, leading to greater access to information. How did this affect education and communication? What religious implications did this have? How did it help advance the fields of science and art? Environmental factors and natural events can also be explored. You could look at how the discovery of gold in California shifted the American focus and launched the great westward expansion. How did this further affect land rights, relations with the Native Americans and the map of the United States? Or what about turning points in the business world? A paper could explain how the Sherman Anti-Trust Act changed the scene of big business monopolies and gave the U.S. federal government power to protect competition in trade. What effects did this have on the businesses, the people involved or future related events? Or what about the development of the Impressionist movement in Paris? How did the artists’ desire to capture change and fleeting moments change how people viewed art? A performance could explain how the case of Brown v. Board of Education was a significant turning point not only for civil rights, but also in the American public school system. People who brought the injustice and suffering of a group to the attention of the general public have also caused great change. A documentary could discover how the photography of Lewis Hine showcased the plight of child laborers. How did this lead to legislation that protected children in the workplace? What effects did this have on other aspects of manufacturing? As you can see, the theme Turning Points in History: People, Ideas, Events has exciting possibilities for choosing a research topic. Think about the sorts of things you are interested in and then think about how they have changed the course of history. Almost any topic — from sports, to television, to science — can be turned into a National History Day project. You can begin brainstorming topic ideas with your classmates, your teachers and your parents. Read about areas of history that interest you and see what important turning points you discover. You can search on the internet or search through your textbook. It might be handy to carry a notebook with a list of topic ideas and as you find information, circle those you are interested in and cross off those that no longer seem appealing. Once you find the topic that fits the theme and interests you most, go ahead and jump right into research. Your local library is an excellent place to start! History Education Hawaii, Inc., wishes everyone a pleasant and safe Memorial Day holiday. We will be back next Tuesday morning. The National Council for History Education (NCHE) announced this morning that proposals are being accepted for its 2013 Civil Rights Conference. The conference will focus on the desegregation of South Carolina's colleges and schools. It is scheduled to be held January 25-26, 2013, at South Carolina State University in Orangeburg, SC. All proposals must be received by 5:00 p.m. on September 17, 2012. Late submissions WILL NOT be accepted. Go to this link for more information, including required forms. You can imagine how delighted we were to hear from Robert Nasson of the National History Club that Mililani High School in Central Oahu has created an NHC chapter! We hope this is merely the beginning. History Education Hawaii urges your middle or senior high school to join with dozens of others across the country in supporting historical literacy through the NHD and its affiliate, The Concord Review. 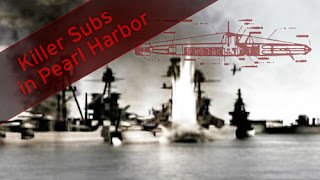 Many people were not aware until recently that stealth Imperial Japanese mini-subs plied the waters of Pearl Harbor, Hawaii. They were part of the December 7, 1941 attack that brought America into World War II. "NOVA dives beneath the waters of Pearl Harbor to trace provocative new clues to one of the most tragic events of World War II—the sinking of the USS Arizona . More than 1,000 crew members perished in the greatest single loss of life in United States naval history. For decades, it has been thought that a bomb dropped by a Japanese aircraft sank the Arizona . But the discovery of a group of Japanese midget subs in and around Pearl Harbor has raised questions about the battleship's final hours. History Education Hawaii highly recommends this broadcast. Among those featured is Burl Burlingame who was recently appointed as the first curator of the Pacific Aviation Museum Pearl Harbor. You can watch the full episode at this link to hulu.com and at this link on the PBS web site. We also call your attention to this detailed description courtesy of GreatHistory.com. One of History Education Hawaii's partners is the National History Club. It was founded in 2002 by The Concord Review Inc. (TCR), which publishes the only scholarly review of history essays written by secondary students. In October 2006, The Concord Review (TCR) board of directors voted to establish the NHC as an independent affiliate to accommodate its rapid growth. The NHC was awarded a seed and planning grant from the Argosy Foundation in the fall of 2006. The Argosy Foundation is a private family foundation established in 1997 by John Abele. The National History Club Inc. (NHC) inspires students and teachers to start history club chapters at high schools, middle schools, and within other student and community programs. Members of local history club chapters participate in local and national programs, and create their own projects and activities. The NHC also provides chapters with resources and services that will help them increase the activity and impact of their history club. To date, the NHC has founded history club chapters at high schools and middle schools in 43 states, and there are over 12,000 student members. Let's get Hawaii on record with NHC chapters at high schools and middles schools throughout our island paradise! Go to this link to learn how you can start a chapter in Hawaii now! 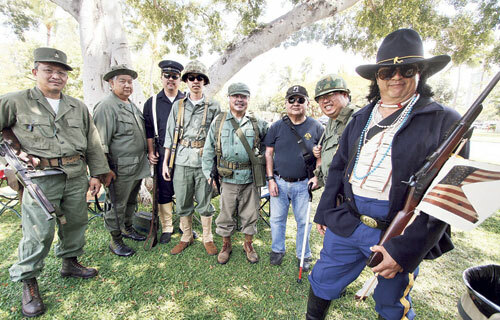 "The U.S. Army Museum Hawaii in Waikiki marked Armed Forces Day on Saturday by hosting its annual Living History Day. In period dress were Colin Chang, left, in a Korean War-era Army uniform, Michael Wee in a Vietnam War-era uniform, Jeff Wong attired as a 1900s U.S. Marine, Alex Wong in a World War II U.S. Marine uniform, Ray Taga in a U.S. Army Korean War uniform, retiree Ford Matsunaga, Ryan Yamashiro in a Vietnam-era Army uniform, and Larry Hoe outfitted as Medicine Crow of the Absaroka Tribe, who was a scout for Col. George Custer's 7th Cavalry at the Battle of the Little Bighorn in 1876." Attention Hawaii history teachers! Here's something to plan for your classes in September! And it's FREE! Colonial Williamsburg’s Gift to the Nation in this election year of 2012 offers students an opportunity to interact virtually with historical characters and provides teachers with unique resources to engage students in the study of citizenship and our founding democratic principles. The Electronic Field Trip entitled 'The Will of the People' examines the presidential election of 1800, one of the most bitter in U.S. history, and provides a surprising lesson for a 21st-century student. Thomas Jefferson explains how negative campaigning, partisan politics, and contested elections have been a part of our political system since the earliest days of the republic. We're pleased to report that Colonial Williamsburg is offering FREE 24-hour access to this electronic field trip starting September 1, 2012 and concluding on September 30, 2012. For more information about the Emmy Award-winning series of live, interactive television broadcasts, teacher guides, and online resources, call 1.800.761.8331, email EFTSupport@cwf.org or visit this link. History Education Hawaii has learned that Colonial Williamsburg will present its fifth "American Ideas" interactive webcast live from behind the Governor's Palace at 3 p.m. Saturday, May 19. The webcast begins with a special edition of the Revolutionary City program, "When in the Course of Human Events: Declaring Independence," featuring Patrick Henry debating Tory John Randolph after giving his famous "Give me liberty, or give me death" speech in the spring of 1775. The webcast is hosted by well-known Hampton Roads public affairs broadcaster Cathy Lewis live on Colonial Williamsburg's "Connect" website. Her guests include characters from each of three scenes in the webcast and Taylor Stoermer, Ph.D., Revolution historian from Colonial Williamsburg's division of research and historical interpretation. Two additional scenes include "Liberty to Slaves," which takes place in November of 1775 with enslaved people pondering Dunmore's Proclamation that granted freedom to slaves who fought for the British, and "The Court of Tar and Feathers," that deals with the issues of free speech and treason in July 1776. For the live interactive webcast, "Connect" will take questions from the on-site audience and emails any time before or during the webcast at connect@cwf.org. Viewers can also send questions to the panel during the program via Twitter or through the live chat room. Discussion segments between the three scenes will ponder the questions, "What events were taking place in the colonies that prompted Henry to give his speech in the spring of 1775?" and "What choices did free citizens and enslaved people have to make?" The panel will discuss why relating to our history matters and what the role of government should be. From the Boston Tea Party to the current Tea Party movement and the Occupy Wall Street demonstrations taking place across the country today, the very roots of the American Revolution can be found in citizens debating each other about issues of the day. 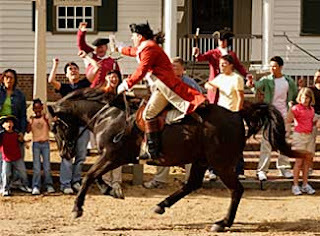 A Colonial Williamsburg admission ticket or Good Neighbor pass provides access to the live webcast audience area behind the Governor's Palace gardens. The May 19 webcast is one in a series of Colonial Williamsburg live webcasts debating our nation's most basic values and how they shape our republic. In late June, the subject will be "What Does Independence Day Mean to Me," and the final subject will be "The Election of 2012" in the fall. Interested citizens may visit the Connect website any time to join the debate. The Organization of American Historians will be holding its Sixth Annual Community College Conference on June 14-16, 2012. This year's setting will be at Lincoln Land Community College in Springfield, Illinois. "The conference offers community college historians an excellent opportunity for professional development, networking, and an enjoyable break in the bustling capital of Illinois. Attendees will also have a chance to immerse themselves in the city where Abraham Lincoln began his professional career as an attorney and politician. The 2012 OAH Community College Conference will feature panels tailored to meet the specific needs and challenges of community college historians. The conference, held over three days, revolves around plenary-style panels and small group sessions focused on subjects related to teaching American history. “Speakers give presentations that include thematic approaches and suggest topics and sources not always familiar to community college instructors who are overwhelmed with teaching responsibilities,” said Doris Dwyer, professor of history at Western Nevada College and OAH Executive Board member. Conference presenters are master teachers, community college professors, prominent research historians, and local public history experts. While immersed in sessions and events, attendees will have an opportunity to network with a unique mix their peers. Networking is essential to building collegiality, assimilating lessons learned, and setting the stage for follow-up activities. History Education Hawaii reminds our members, friends and visitors that tomorrow is the deadline for the Herbert Baxter Adams Prize. Sponsored by the American Historical Association, this prize is awarded annually for a distinguished book by an American author in the field of European history. The prize was established in memory of the first secretary of the Association, Herbert Adams of Johns Hopkins University, who was also one of the Association's founders. The Adams Prize is one of the most important distinctions bestowed by the profession in the field of European history. According to the AHA web site, this year books on European history from the ancient period through 1815 will be eligible for the competition. 1. Since the prize is designed especially to encourage scholars who have not yet obtained an established reputation, the entry must be the author's first substantial book. Textbooks in the strict sense of the word are not eligible, but a work of wide scope which interprets a major period or area would certainly qualify. Pamphlets, anthologies, edited works, and other small-scale efforts will not qualify. 2. The entry must have been published between May 1, 2010, and April 30, 2012. 3. The author must be a citizen or permanent resident of the United States or Canada. 4. The submission of an entry may be made by an author or by a third party as well as by a publisher. Publishers may submit as many entries as they wish. 5. One copy of each entry must be sent to each of the following committee members. Entries must be postmarked by or on MAY 15 to be eligible for the 2012 competition. For more detailed information go to this link today. One of the most popular recent offerings by PBS is 'Finding Your Roots with Henry Louis Gates, Jr.,' broadcast on Sunday nights. "The basic drive to discover who we are and where we come from is at the core of the new 10-part PBS series Finding Your Roots with Henry Louis Gates, Jr., the 12th series from Professor Gates, the Alphonse Fletcher University Professor at Harvard University and director of the W.E.B. Du Bois Institute for African and African American Research. 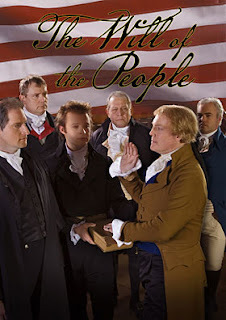 Filmed on location across the United States, the series premieres nationally Sundays, March 25 – May 20 at 8 pm ET on PBS." History teachers here in Hawaii and elsewhere across the world will be delighted to find a section dedicated to educators! A series of lesson plans with accompanying video and other resources are offered free to charge. Users are also able to post comments. Click this link for access to the lesson plans. 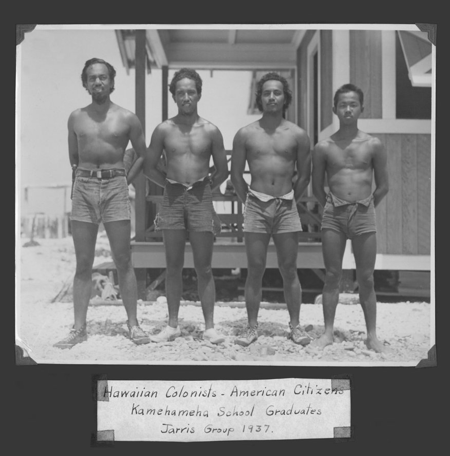 "is the story of 130 young men from Hawai‘i who, from the late 1930s through the early years of World War II, were sent on a clandestine mission by the U.S. Federal Government to occupy desert islands in the middle of the Pacific. The first wave of these colonists were Hawaiian high school students, chosen because government officials assumed that Pacific Islanders would be best able to survive the harsh conditions present on the tiny, isolated islands. For the young men, who were unaware of the true purpose of their role as colonists, what ensued is a tale of intrigue, courage, and ultimately, tragedy. Amazingly, these men (four of whom are still alive) are only now being recognized for their sacrifice, and efforts are underway for the United States to officially acknowledge them for serving their country." This historical documentary was voted 'Best Documentary' at the 2010 Hawaii International Film Festival. Did you miss the broadcast? Fear not! Go to this link or the one hyper-linked above and watch it on YouTube. H-Net.Org is an online-based international consortium of scholars and teachers focusing on the humanities and the social sciences. On its 'About H-Net' page, the organization "creates and coordinates Internet networks with the common objective of advancing teaching and research in the arts, humanities, and social sciences. H-Net is committed to pioneering the use of new communication technology to facilitate the free exchange of academic ideas and scholarly resources." One of the features of the H-Net.Org web site is a section with job postings. Go to this link for further information. The 10th-annual Teaching History With Technology Workshop is an intensive three-day, hands-on opportunity for history and social studies educators to explore practical ways to use technology to enrich their history curricula and engage students. The workshop explores innovative ideas, effective techniques, and ready-made plans for incorporating Web-based resources, desktop software packages, and emerging technologies into the classroom instruction of history. The workshop provides numerous examples of the best history-related web sites, describes practical methods and techniques for using technology in the history and social studies classroom, and includes opportunities for targeted web exploration after each "mini" lesson. Examples highlight both inquiry-based and research-oriented technology applications in World History, World Cultures, United States History, and Civics for middle school, high school, and college. The workshop emphasizes innovative ideas and exciting projects for incorporating Web 2.0 tools including wikis, blogs, podcasts, Google Docs, social networks, and other emerging technologies into the classroom. The Teaching the Civil War & World War II with Technology workshop is an intensive hands-on opportunity for history and social studies educators to explore practical ways to use technology to enrich their history curricula and engage students. The workshop covers various Civil War and WWII topics such as campaigns and battles, diplomacy and politics, soldier and civilian experiences, and explores innovative ideas for incorporating virtual tours and simulations, inquiry based research, Google Docs collaboration, iPad integration, wikis, blogs, podcasts, online social networks, and other emerging technologies into the classroom instruction of these topics. The workshop provides numerous examples of the best Civil War and WWII web sites, describes practical methods and techniques for using technology in Civil War and World War II units, and includes opportunities for targeted web exploration after each mini lesson. This workshop will be offered August 2-3, 2012. For more information, such as scheduling, bios of instructors, registration and payment, go to this link today.